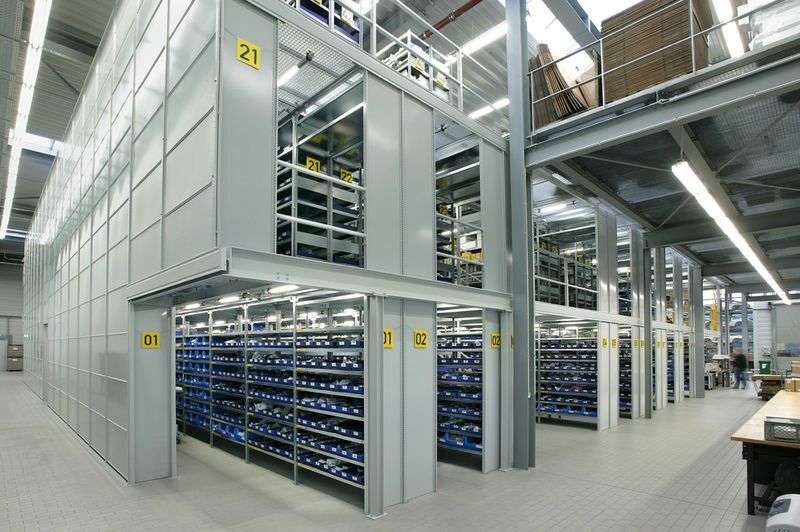 Multi Tier Racking solutions introduce additional floor levels, greatly enhancing cubic utilisation. Generally these multi tiers fall into distinct categories, either over sailing floors, suspended walkways, or a combination of these. Multi Tier Shelving applications are available to both Longspan and Pallet Racking systems which are equipped with floors and stairs. Or a combination of both. In general a wooden decking floor is applied. Designed to ensure the correct balance between storage capacity and operational efficiency, the system can be configured to accommodate a wide range of product types, utilising the full height of the storage facility. Mult-tier shelving systems can expand your storage possibilities, with additional benefits and advantages over conventional racking systems. It is ideal for situations where floor space is at a premium or there is good building height available. This is because it utilises this space that under normal conditions can’t be brought into use. The multi-tier shelving system can effectively double the amount of storage capacity of a floor area. Call 0208 617 8610 now for more information or to get a free no obligation design & quotation.